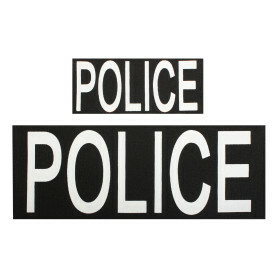 Rothco Police Patch Set » Protective Solutions, Inc.
Set contains 2 black patches With "POLICE" in white print. Polyester With hook backing. Set contains 1 large patch 4" X 10.75" and 1 small patch 2.5" X 5.75".